At the start of a new year comes a new Airline! Oman Airports embraces new Iranian carrier “Qeshm Air” to Muscat International Airport commencing on Tuesday the 5th of February 2019, landing at 3:45 pm as a direct scheduled route from Qeshm to Muscat. The Airline scheduled two weekly flights (Monday and Thursday) using a Fokker 100 aircraft accommodating 100 passengers. Sheikh Samer Al Nabhani, Oman Airports Chief Commercial Officer; stated “The airport has completed its preparations to welcome Qeshm Air's arrival at Muscat International Airport, strengthening, even more, the importance of Omani Irani relations established centuries ago, in addition to the continuous growth of Iranian inbound tourism in Oman. We are proud to announce that Qeshm Air has joined the Oman Airports family." 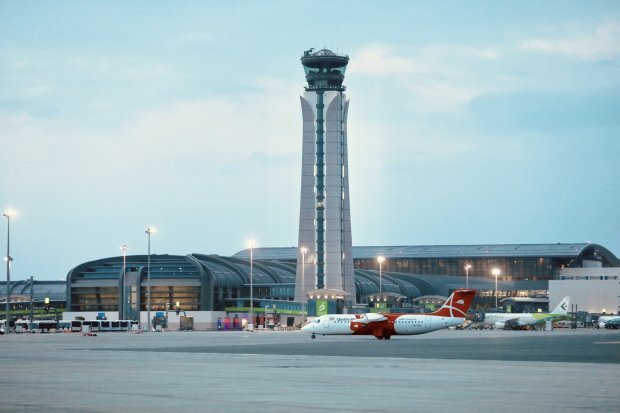 Oman Airports has been working closely with Qeshm Air alongside Oman Public Authority for Civil Aviation to make the opportunity turn into reality. Iranian travelers are now welcomed into the Sultanate of Oman with a visa upon arrival process. Qeshm Air is an established Iranian airline consisting of 22 aircrafts to which include; Fokker 100 Aircraft, Avro RJ 85&100 Aircraft, Fokker 50 aircraft and Airbus 320-214 Aircrafts.